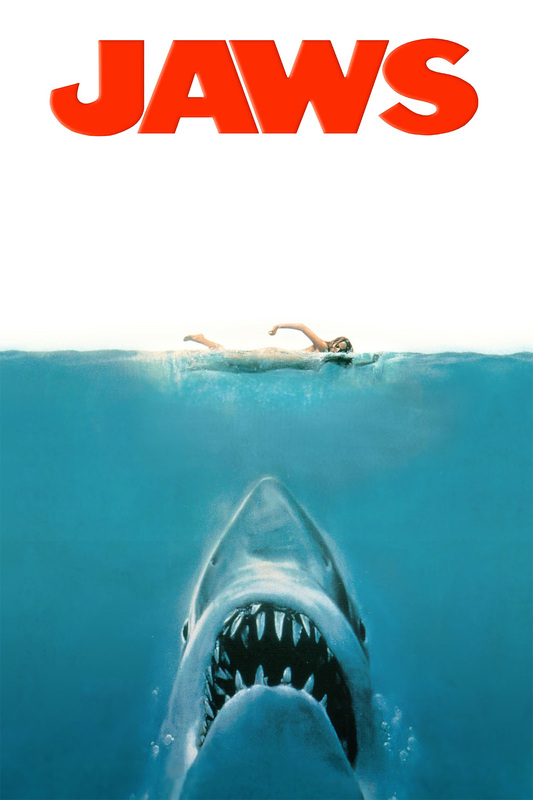 The film spawned three sequels, none of which matched the success of the original critically or commercially, two video games, Jaws in 1987 and Jaws Unleashed in 2006 and was also adapted into a theme park attraction at Universal Studios Florida (in Orlando, Florida and Hollywood), and two musicals: JAWS The Musical!, which premiered in the summer of 2004 at the Minnesota Fringe Festival; and Giant Killer Shark: The Musical, which premiered in the summer of 2006 at the Toronto Fringe Festival. State Opening happens on the first day of a new parliamentary session or shortly after a general election and is the main ceremonial event of the parliamentary calendar, attracting large crowds and a significant television and online audience. It begins with the Queen’s procession from Buckingham Palace to Westminster, escorted by the Household Cavalry. The Queen arrives at Sovereign’s Entrance and proceeds to the Robing Room. Wearing the Imperial State Crown and the Robe of State, she leads the Royal Procession through the Royal Gallery, packed with 600 guests, to the chamber of the House of Lords. It is the only regular occasion when the three constituent parts of Parliament – the Sovereign, the House of Lords and the House of Commons – meet. When the Queen leaves, a new parliamentary session starts and Parliament gets back to work. Members of both Houses debate the content of the speech and agree an ‘Address in Reply to Her Majesty’s Gracious Speech’. Each House continues the debate over the planned legislative programme for several days, looking at different subject areas. The Queen’s Speech is voted on by the Commons, but rarely in the Lords. Traditions surrounding State Opening and the delivery of a speech by the monarch can be traced back as far as the 16th century. The current ceremony dates from the opening of the rebuilt Palace of Westminster in 1852 after the fire of 1834. This year The Queen’s speech focussed on Britain leaving the European Union. HM Queen Elizabeth II Stressed the government’s priority to work with Parliament, administrations, business and others In order to secure the best possible deal as the country leaves the European Union, and build the widest possible consensus on the country’s future outside the European Union. A bill will be introduced to repeal the European Communities Act and provide certainty for individuals and businesses. This will be complemented by legislation to ensure that the United Kingdom makes a success of Brexit, establishing new national policies on immigration, international sanctions, nuclear safeguards, agriculture, and fisheries. The Queen also stated that The government will try to maintain a deep and special partnership with European allies and to forge new trading relationships across the globe. New bills on trade and customs will help to implement an independent trade policy, and support will be given to help British businesses export to markets around the world. The speech also outlined the Governments intention to strengthen the economy so that it supports the creation of jobs and generates the tax revenues needed to invest in the National Health Service, schools, and other public services and the Government will continue to improve the public finances, while keeping taxes low and spread prosperity and opportunity across the country through a new modern, industrial strategy and attract investment in infrastructure to support economic growth. Legislation will be introduced to ensure the United Kingdom remains a world leader in new industries, including electric cars and commercial satellites. The speech also outlined the Government’s commitment to ensure that every child has the opportunity to attend a good school and that all schools are fairly funded and to ensure people have the skills including technical education, they need for the high-skilled, high-wage jobs of the future, The National Living Wage will be increased so that people who are on the lowest pay, benefit from the same improvements in earnings as higher paid workers. protections in the modern workplace will also be maintained. Efforts to improve gender pay gap and discrimination against people on the basis of their race, faith, gender, disability or sexual orientation have also been promised and Reforms will be introduced to protect the victims of domestic violence and abuse and ensure that mental health is prioritised in the National Health Service in England. The sppech also mentioned Proposals to ban unfair tenant fees, promote fairness and transparency in the housing market, and to ensure more homes are built and improve social care. According to the speech Efforts to ensure fairer markets for consumers, including measures to help tackle unfair practices in the energy market to help reduce energy bills will also be introduced. The speech also said that building a more united country, strengthening the social, economic and cultural bonds between England, Northern Ireland, Scotland and Wales would be a priority. The Queen also stated that the Government will work in cooperation with devolved administrations, and parties in Northern Ireland to support the return of devolved government and will also ensure that the United Kingdom retains its world-class regime protecting personal data, with proposals for a new digital charter to ensure that the United Kingdom is the safest place to be onlin. Legislation will also be introduced to modernise the courts system and to help reduce motor insurance premiums. The Government has said that they will launch a full public inquiry into the tragic fire at Grenfell Tower to ascertain the causes, and ensure that the appropriate lessons are learnt And will also introduce an independent public advocate, who will act for bereaved families after a public disaster and support them at public inquests. The speech stated that In the light of the terrorist attacks in Manchester and London the government’s counter-terrorism strategy would be reviewed to ensure that the police and security services have all the powers they need. The Government has also said in the speech that it will invest in the Armed Forces, and meet the NATO commitment to spend at least two per cent of national income on defence, The Government intends to introduce proposals to ensure that critical national infrastructure is protected to safeguard national security and will also establish a commission for countering extremism and removing extremist ideology in all its forms, both across society and on the internet. the Government also said that they would ensure that the United Kingdom’s leading role on the world stage is maintained and enhanced as it leaves the European Union and that they would continue to drive international efforts that increase global security and project British values around the world. The Government has also said that it would work to find sustainable political solutions to conflicts across the Middle East and would tackle the threat of terrorism at source by continuing the United Kingdom’s leading role in international military action to destroy Daesh in Iraq and Syria. The Government has also said it Would reform the international system to improve the United Kingdom’s ability to tackle mass migration, alleviate poverty, and end modern slavery and would continue to support international action against climate change, including the implementation of the Paris Agreement. The concept of an all-day musical celebration on the days of the solstice, was originated by American musician Joel Cohen, who spent two seasons as a producer of musical radio programs for the French National Radio (France Musique). The idea was adapted as a national celebration each June 21 in France and made official by the French Minister of Culture, Jack Lang. The festival later became celebrated in 120 countries around the world. The purpose Of Fête de la Musique is to promote music in two ways with both professional musicians and amateur musicians being encouraged to perform in the streets, under the slogan “Faites de la musique” (“make music”, a homophone of Fête de la Musique). Many free concerts are also organized, to make all genres of music accessible to the public. in order to organize an official event it must be approved by the official Fête de la Musique organization in Paris and must be free to the public, with all performers donating their time for no fee. However despite there being a large tolerance about the performance of music by the general public of amateurs in public areas after usual hours, noise restrictions apply, and some establishments are forbidden to open and broadcast music out of their doors without prior authorization.